GGI has been a pioneer in product development measurement since the early 1990s. We've been formally researching industry and corporate measurement practices ever since. For some time, even past when we introduced "proactive" metrics and refined "predictive" metrics for R&D and Product Development in 1997, we continued to defer to the business frameworks that industry was using. We would "fit" our measures into current structures and hierarchies of the companies that hired us. It was fine. They were happy. The outcome was better than what preceded it. But personally, I kept wrestling in my mind that something wasn't right. It was like an indicator panel where each light could be recognized but the context was not right. The frameworks didn't paint the picture for R&D or Product Development. It was difficult to determine the actions to take to create improvement. Along the way, I had the pleasure of introducing Robert Kaplan at the conference where he introduced Balanced Scorecard to the world. And, I watched it pervade industry. My masters, hidden under the MBA acronym, was in accounting and operations. Everything needed for a CPA. I understand business measurement structure, financial and cost accounting. Balanced Scorecard was definitely an asset to bring additional improvement to corporate management and to many many functions. However, it still was a force-fit for R&D. I never met a VP R&D or Product Development that liked it. They would do what they needed to do and put the necessary metrics into whatever scorecard the CEO told them to use. I kept stewing on this mismatch, which I observed in a couple other corporate functions as well, and it hit me on a summer day in 2002. While every function needed to align with GAAP no doubt, that the entire system was based on transactions as it was those transactions that collectively generated the business value. In short, everything was about buy and sell products or services and the myriad of transactions that are needed to execute an order to generate the business value. R&D and Product Development are different. Yes, there are a myriad of transactions to go from concept to customer; and many just to run the organizations that create products and/or IP. But, the business value is generated by the completion of a project. The project produces a product (or service) (and/or IP) and that is where GAAP starts. Upon further reflection, the other functions that are a mismatch also generate their value from projects and are "pre-product" or "post-product" as well. This is a whole other discussion that I'll leave for another day. On that summer day in 2002, on my porch, the Linked Metrics Portfolio® [LMP] was born. It is a performance measurement framework uniquely designed for project-based organizations. We're on our way to 150 implementations of it at this time in R&D-Product Development. It is designed to be compatible with any and all CEO/CXO metrics reporting frameworks, including Balanced and other scorecards. The August 2016 issue of Machine Design, without mentioning the LMP framework itself, addresses the subject of measuring R&D and Product Development "Productivity" in the context of the four groups of "primary metrics" that comprise the LMP. Each of the four groups is a bold sub-heading in the article. This blog post also includes the word "Efficiency." Measuring R&D and Product Development Efficiency means the same thing as measuring Productivity. Both words equate to Output divided by Input. Note To Rocket Scientists: Yes, I am aware that some invoke the capital/physical assets of the company into productivity measures. 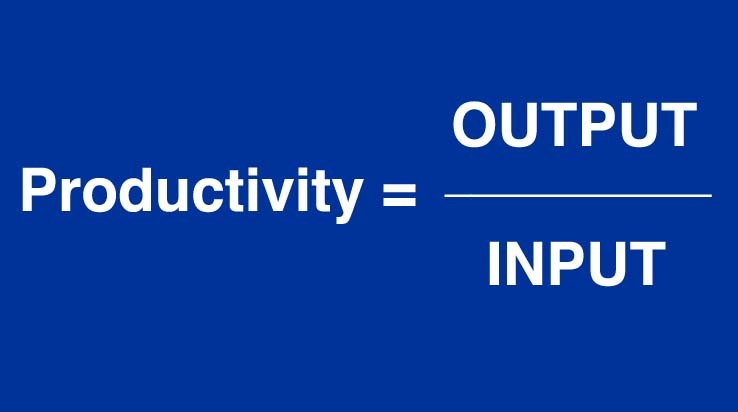 And, when capital is weighted as part of the input to the output, that does change productivity to mean something different than pure efficiency. Measuring Product Development Productivity [Machine Design - August 2016] addresses the subject of productivity measurement in R&D and Product Development by looking through the four lenses that drive performance in project-based organizations: People/Departments, Projects, Improvement Efforts, and Overall CXO-Level Performance.